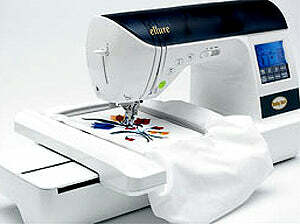 Ellure has 187 stitches, 10 buttonholes, 106 designs, 120 frames, 5x7 inch field, thread sensors, bobbin winder, thread cutter. Baby Lock BLR Ellure Sewing And Embroidery Machine. Baby Lock IQ Technology works with the Ellure's "brain" to make it easy to access your machine’s settings and design editing tools through the LCD Touch Screen. Plus, the Ellure comes with 106 built-in embroidery designs and 187 modifiable stitches so you can edit and save the perfect stich for every project. Baby Lock Ellure Key Features. The large, easy-to-read (120 x 64 dot matrix) LCD screen makes accessing your machine's settings, designs and editing tools fast and simple. LCD touch screen (120 x 64 size). Upper and lower thread sensors. Language conversion capabilities (14 languages). Medium 4 inches x 4 inches. Small 1 inches x 2.5 inches. Multi-position 12 inches x 5 inches. Baby Lock Ellure Embroidery Specifications. 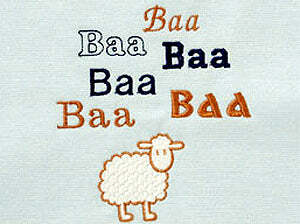 106 embroidery designs which include an elegant script font and 40 Baby Lock exclusive designs. 6 Font styles in upper and lower case. 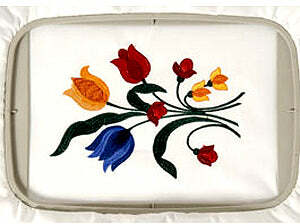 Reads embroidery designs with a stitch capacity of up to 50,000 stitches per design. 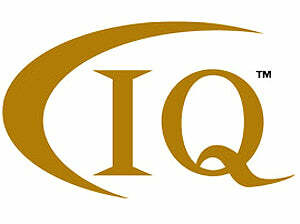 Up to 12 Memory Pockets for embroidery equaling 512KB/150,000 stitches. 1°, 10° and 90° pattern rotation. Embroiders up to 5 inches x 7 inches (130mm x 180mm) embroidery field. 5 inches x 7 inches Embroidery hoop and grid. 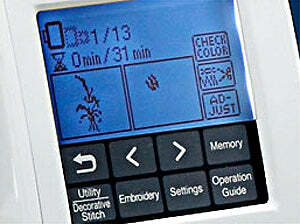 Embroidery speed up to 650 spm (stitches per minute). 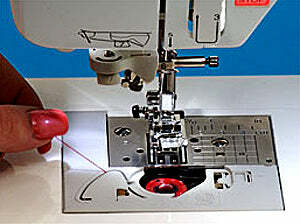 Baby Lock Ellure Sewing Specifications. 67 Utility (with 10 styles of onestep buttonholes). 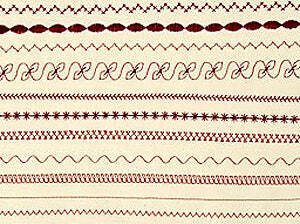 Edit and combine Decorative stitches. 10 Memory Pockets for Character or Decorative stitches; allows 70 entries per pocket. Stitch length 0.0mm - 5.0mm on sewing stitches. 2 LED lights illuminate sewing surface. Programmable needle up or down. Baby Lock Ellure Included Accessories.